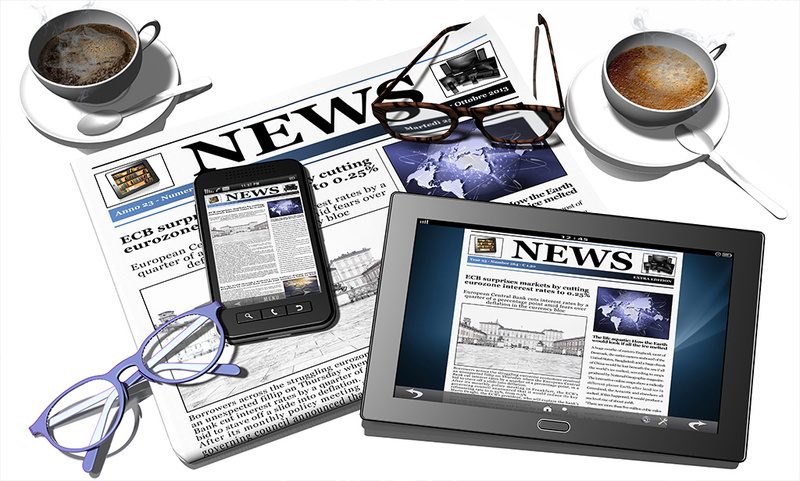 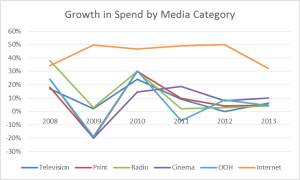 -Growth rates have dropped across all non-internet categories – with Radio and Print taking the biggest hits. 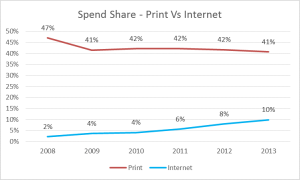 -Print and TV continue to be at the top and one can expect this to be the case for the next 3 years. 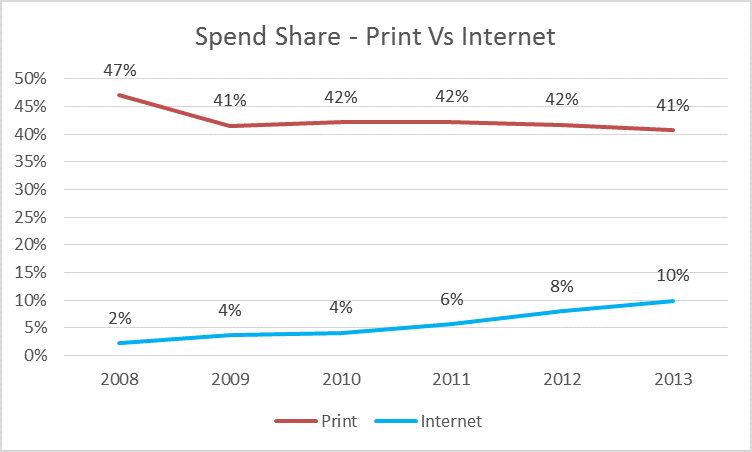 One at the bottom – the internet category rising fast. 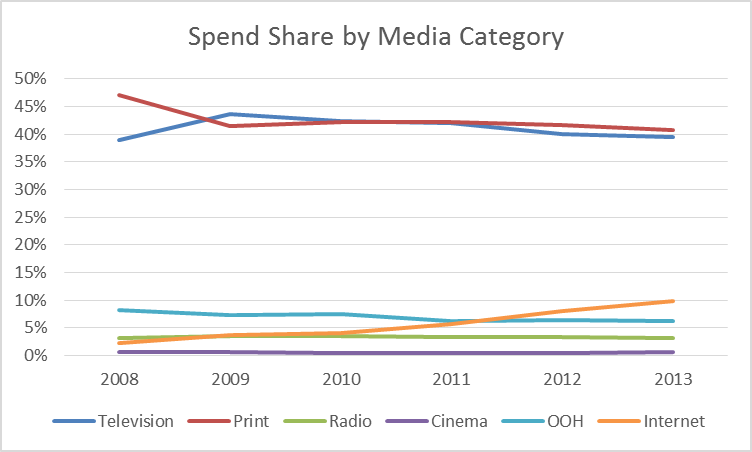 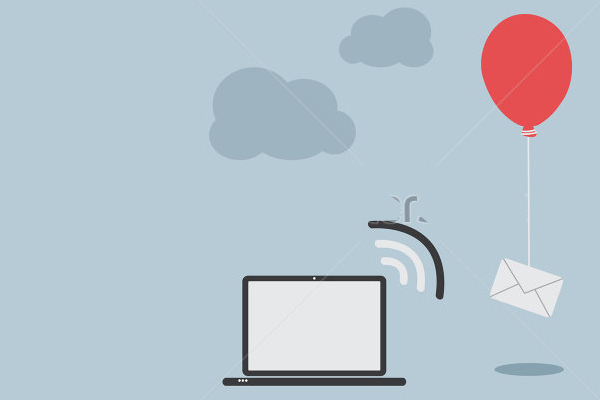 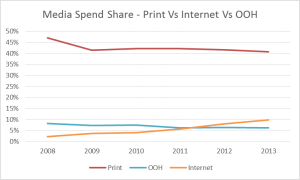 -In a span of two years – 2010 to 2012 – online has gone past Radio and then OOH. 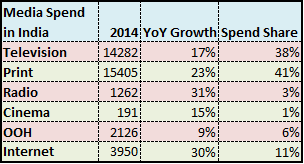 It is growing the fastest among all categories and ranks # 3 overall. 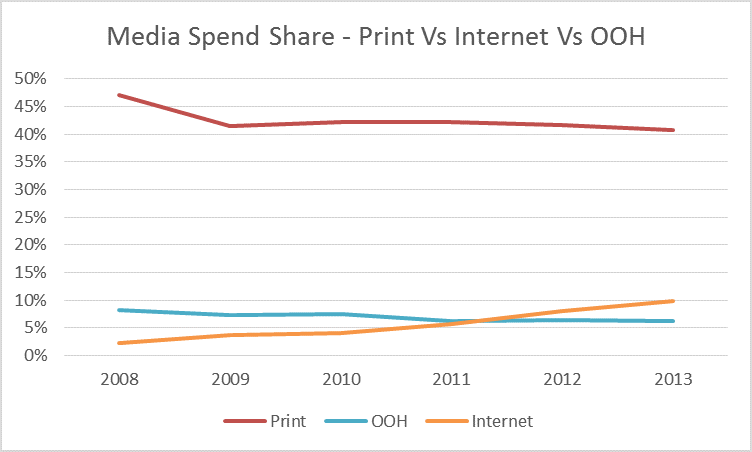 The other category that has lost to Internet steadily is OOH – Internet closed the gap and surpassed OOH in a short span. 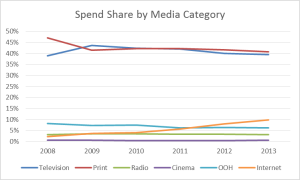 This entry was posted in Media & Advertising and tagged digital marketing, Media spend in India.